Wide distance area without any distortion in distance vision. Smooth transition to reading area from distance vision without much lateral head movement. 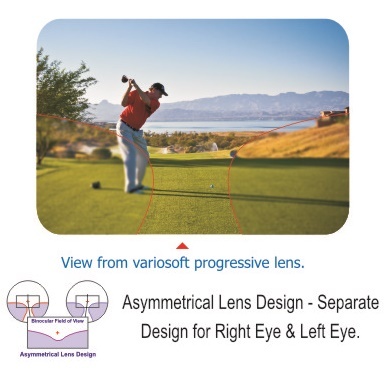 Recommended for people with active life style & myopic patient where sharp distance vision is more required. Such as playing golf, cricket & driving.